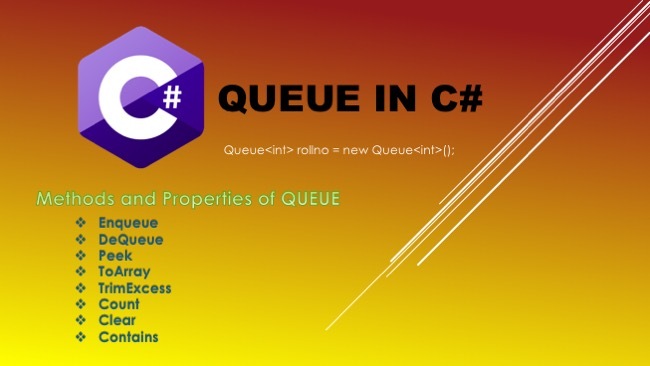 In this article you will learn about QUEUE in C#. Queue is FIFO (First In First Out) collection type & Generic class. Queue collection classes automatically size as required. In this article you will learn about QUEUE. Queue is FIFO (First In First Out) collection type & Generic class. Queue collection classes automatically size as required. I like QUEUE collection, FIFO is also one kind of method to maintain the stock. There is no extra code required to follow FIFO. It is a readymade tool. You will see uses of QUEUE step by step. 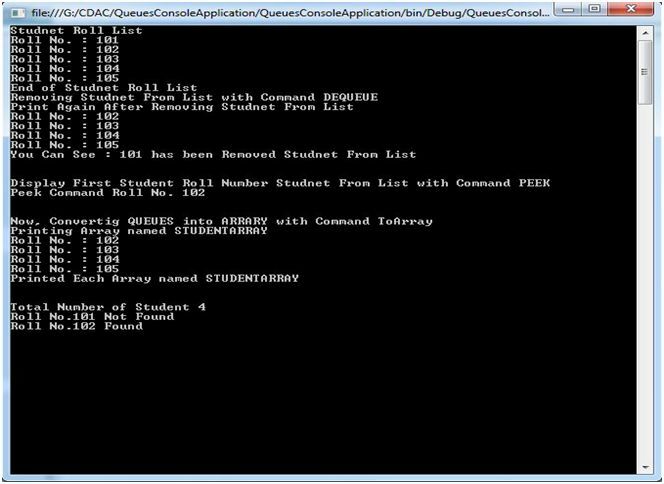 I had created CONSOLE APPLICATION to work with QUEUE. 1. File, New, then Console Application. 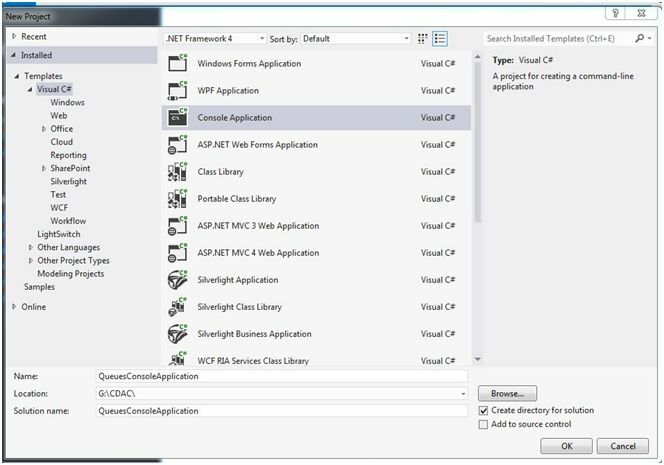 a. Enqueue : To add a new object at the end of the Queue List. b. DeQueue: To remove first object from the Queue List. c. Peek: To get the first object from Queue List. d. ToArray: To convert your QUEUE list to an array. e. TrimExcess: To reduce the uses of QUEUE memory usage. f. Count: To get the number of objects in QUEUE. g. Clear: To erase / remove all the objects from the QUEUE. h. Contains: To check whether an object is in the Queue.